I got this sudden urge to make Boeuf Bourguignon. Nothing to do with Julie and Julia, which I haven't seen yet. It was the boneless cross-rib roast on special at the local SaveEasy: I was buying some to grind into hamburger meat, and then I thought I should buy an extra package and make a stew. 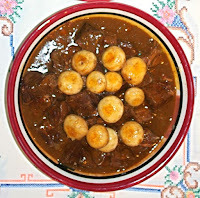 The only beef stew that came to mind was Boeuf Bourguignon, which is really funny since I hadn't made it since 1979, the year I sold my first restaurant and moved to Mexico. I made it from memory and it was so fabulously good that I thought it should be my first recipe here. Afterwards, I checked online recipes, and that's when I discovered that everybody who saw Julie and Julia wanted Julia Child's Boeuf Bourguignon recipe. WHAT ABOUT YOU ? 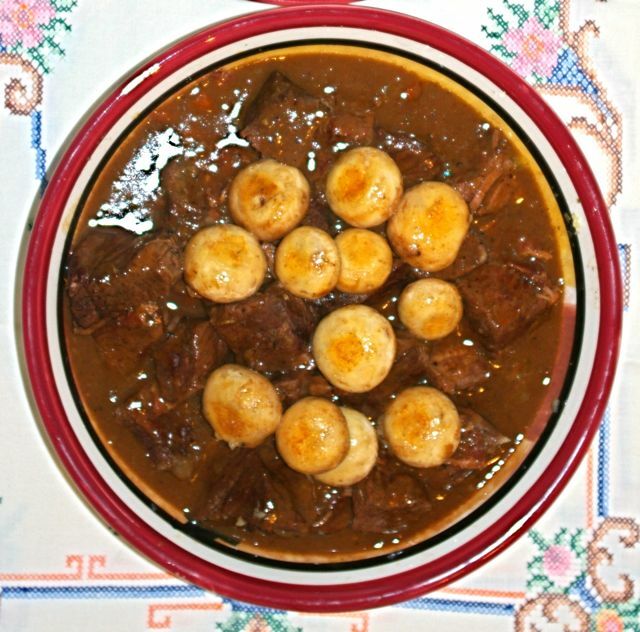 Do you have a favourite beef bourguignon recipe?